We are committed to treating you with the utmost respect and dignity so that you have an outstanding experience at our dealerships, every single time. Our commitment to excellence is displayed by our state-of-the-art facilities and, more importantly, by the top-quality people we hire to represent the Northside Honda brand. We are forthright and transparent in our business transactions, and we want every client to know they have made a smart decision when they choose to buy from Northside Honda. 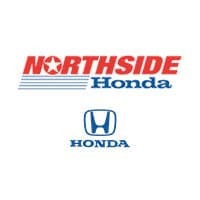 From the time you arrive on Northside Honda properties until the time you drive away, our commitment to providing the highest standard of customer service will not waver. Our goal is always to provide value for our customers along with prompt, excellent service each and every time you visit our dealerships. Because we know your time is valuable, we offer Express Service at all of Northside Honda’s service departments.